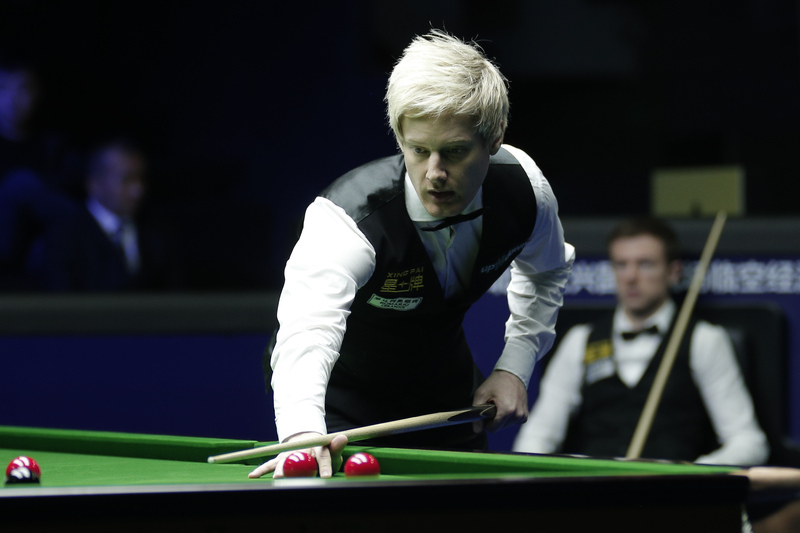 Neil Robertson established an imposing 8-2 lead over Jack Lisowski after the first session of the XingPai China Open final in Beijing. Robertson requires just three more frames to take home the title in the best of 21 encounter. The match will be played to a conclusion in this evening’s final session. The Australian, who has won 15 ranking titles in his career, is currently ranked seventh in the world and would move up to fourth if he were to take home the £225,000 top prize today. Victory would see Robertson pick up three ranking titles in a single season for the first time in his career, having already won the Riga Masters and the Welsh Open. Lisowski is aiming for a maiden ranking title. It’s his second appearance in a final, having been runner-up to Robertson at the Riga Masters. The Englishman has enjoyed a strong season, which has confirmed his place in the world’s top 16 ahead of the World Championship. That means he will compete at the Crucible as a seed for the first time later this month. Robertson flew out of the traps today, compiling breaks of 86 and 141 on his way to securing a 4-0 advantage at the mid-session interval. When they returned Lisowski got his first frame on the board to make it 4-1. However, the ruthless Robertson fired in runs of 74, 100 and 65 as he surged further ahead and moved 8-1 ahead. Lisowski gave himself some hope by taking the final frame of the session on the colours to end 8-2 behind.